Daniele Nouy steps down as chair of the European Central Bank’s banking watchdog this year. Her successor will have to keep cleaning up bad debts and improving money-laundering controls. The bigger challenge, though, is addressing lenders’ chronic lack of profitability. Germany’s new ruling coalition has cleared the way for reforms to strengthen the single currency area. Yet proposals to backstop banks and governments remain contentious. Italy’s new government adds uncertainty. 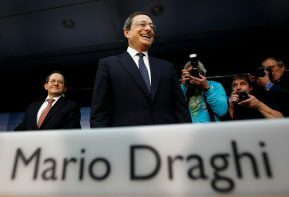 With the ECB’s firepower waning, delay may prove costly. The only person left in the race to become European Central Bank vice president is Spanish Finance Minister Luis de Guindos. It’s thus likely that the top job will go to a northern European in 2019. That will please Germans keen for an end to unorthodox monetary policies.